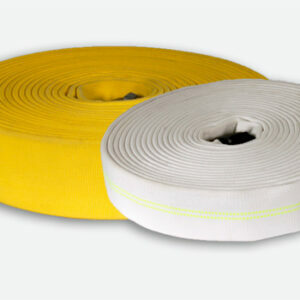 Hose manufactured to this specification shall be of superior quality and workmanship. Hose specified, shall meet NFPA 1961 standards. For North American customers, due to lack of verification of adherence to NFPA 1961 standards, import hose shall not be accepted. Hose furnished under these specifications will have a potential service life and warranty of 5 years, barring mistreatment that would render it unfit for service and normal wear and tear. Upon delivery the hose shall be free from defects in materials and workmanship. Hose assemblies shall be available with the special “Key-Lok” polyurethane based polymer impregnation for added abrasion resistance and ease in identification. 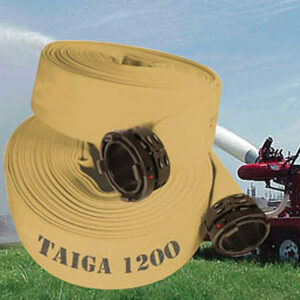 Impregnated hose shall meet the requirements of MIL-H-24606B for abrasion resistance. NFPA colors may be specified by the end- user. A double dip process for twice the abrasion resistance is available upon request. 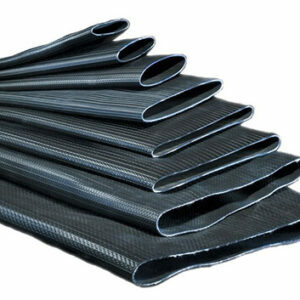 The rubber lining shall be a single-ply extruded tube of synthetic high tensile EPDM compounded to resist ozone. The finished form shall be free of pits or other imperfections and have a smooth finish for better flow characteristics. Polyurethane tubes, SBR and/or PVC tubes that sacrifice durability of the hose life for the sake of weight are not acceptable. The tube thickness shall be a minimum of .020”. 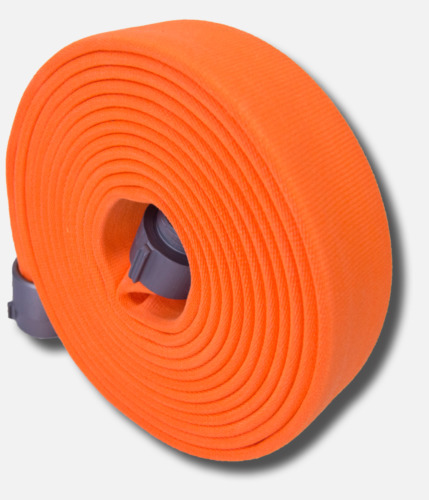 The adhesion between the tube and jacket shall meet a minimum requirement of 12 pounds on a 1 1/2” strip when tested in accordance to UL-19 standards. Minimum tensile strength requirements for the finished tube requirement shall be 1800 PSI. A valid USA/ULC Underwriters inspection procedure shall be in force. The service test pressure of hose made to this specification shall be 300 PSI. The proof test pressure shall be 600 PSI, and the burst test pressure of a 3ft. sample shall be at least 900 PSI. At 600 PSI pressure, a 50 ft. hose shall not elongate more than 48 inches. The twist of the hose shall not exceed 8 right hand turns per 50 ft. nor shall it rise up from the test surface. The hose must resist kinking and be flexible at temperatures as low as –65Fo. 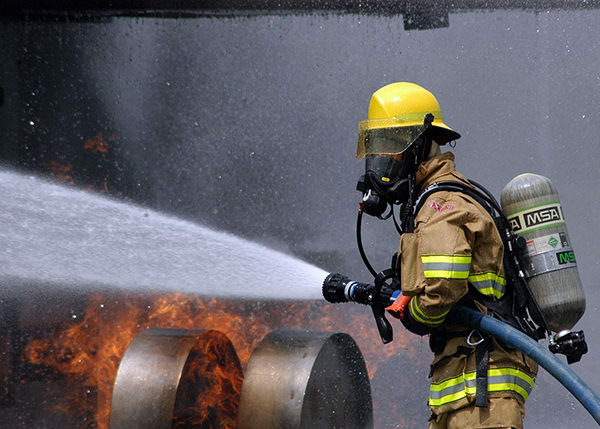 Fire hose manufactured to this specification shall meet and exceed all performance requirements of NFPA 1961 and Underwriter’s Laboratories standards. 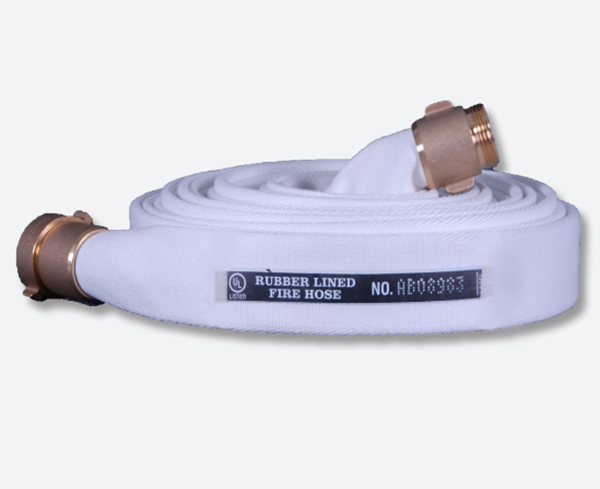 Hose shall be listed as an approved USA/ULC product. ECO-5 shall be coupled with 6061-T6 extruded aluminum threaded couplings or forged storz. Special threads or other custom features available upon request.